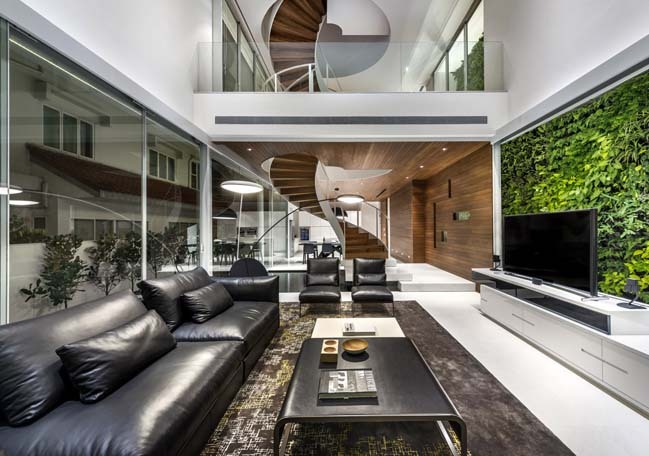 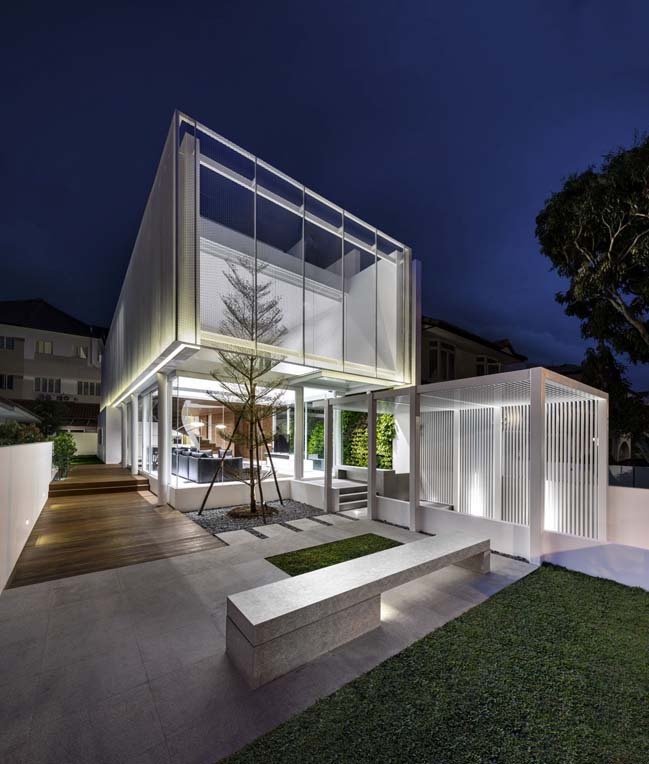 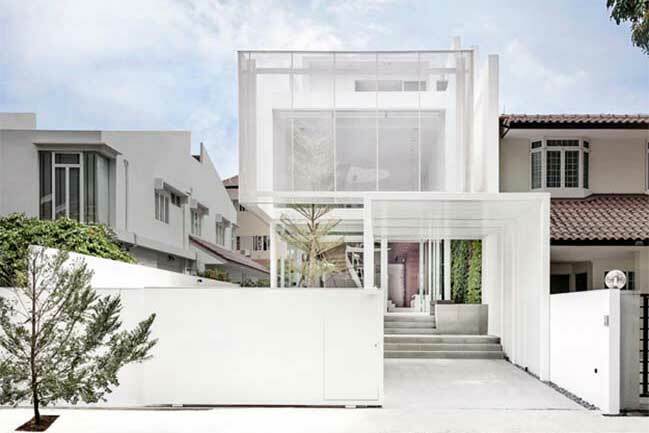 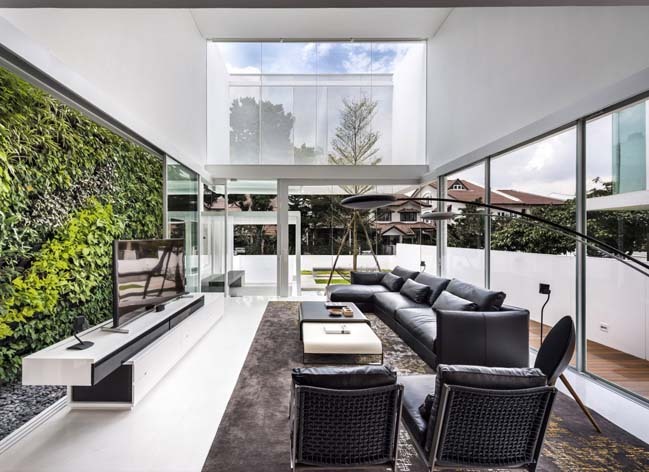 Greja House is a luxury and modern house in Jalan Greja, Singapore that was designed by Park + Associates. 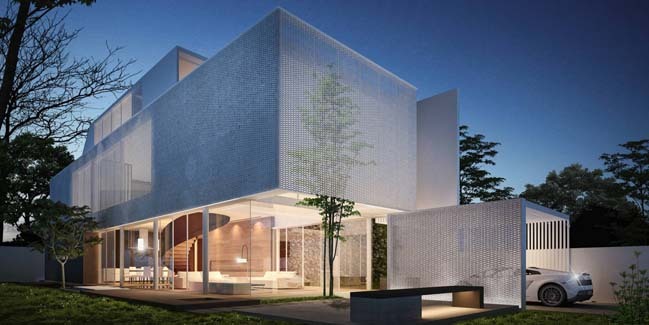 From the architects:The house features a wrapped structure out of a convoluted mesh skin that appears as if it is perched atop a seamless glass front to form an inviting spatial gesture as one steps up past the tree canopy from the entrance. 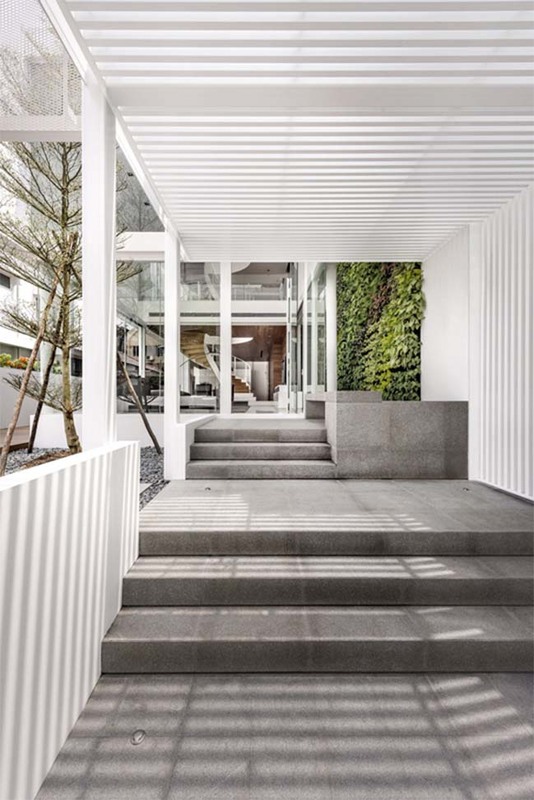 Inside the double-height living spaces, the seamless surfaces bring together the best of its surrounding atmosphere by trickling in shades of light, shadows and reflections of its surrounding landscape to allow a smooth transition into the house yet offering a degree of much needed comfort and privacy to its occupants thru the mirage of the surrounding envelope from external forces. 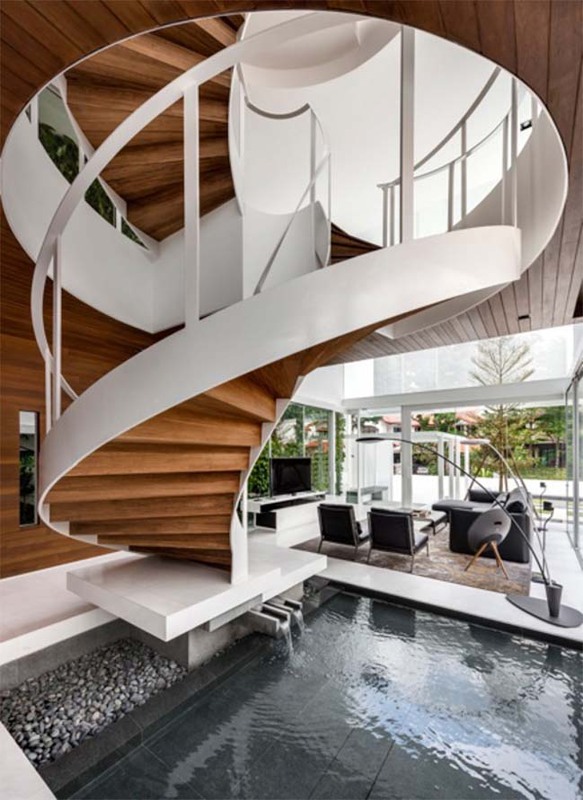 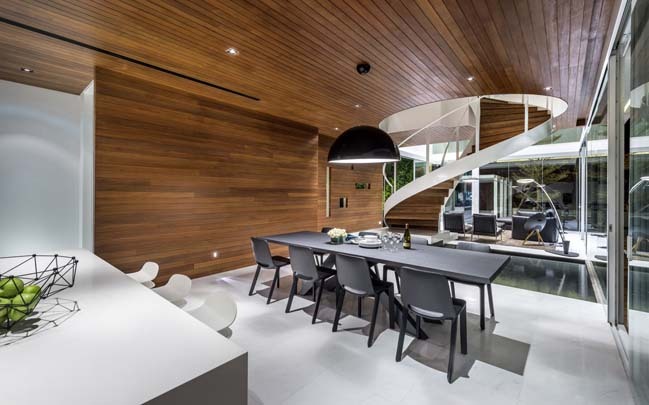 This seamless fluidity is also extended vertically by connecting all floors with a beautiful central spiral staircase that is carefully positioned above a water feature that further complements the concept of the ‘floating box’, and is carefully designed to become the main focal point for social interaction to all members of the house.